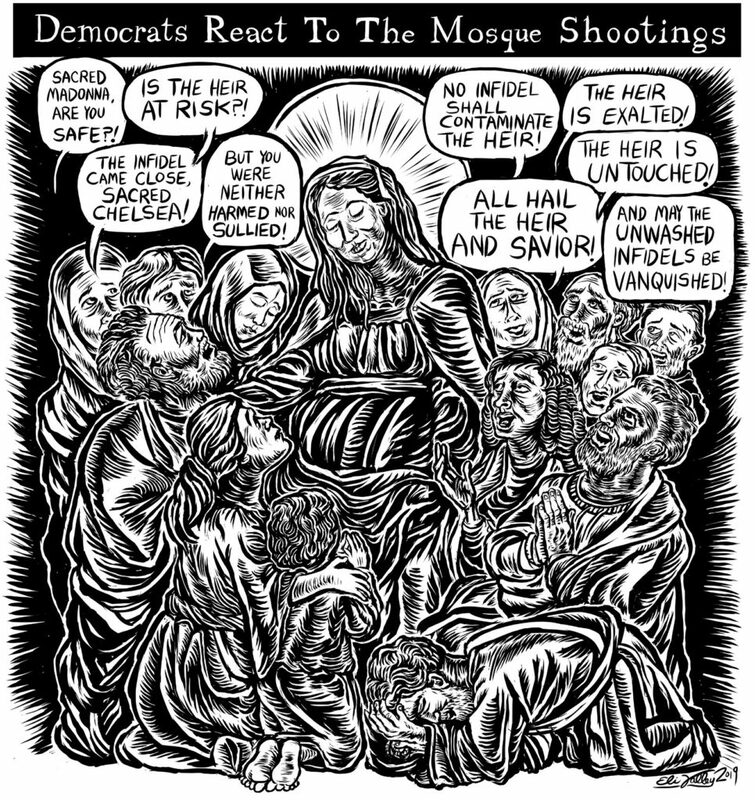 ‘democrats react to the mosque shootings’ by eli valley. white supremacy – it’s never-ending. more about Chelsea Clinton and the Insidiousness of Islamophobia here.